Gelatin powder and sheets. Pure gelatin forms clear sheets (left). 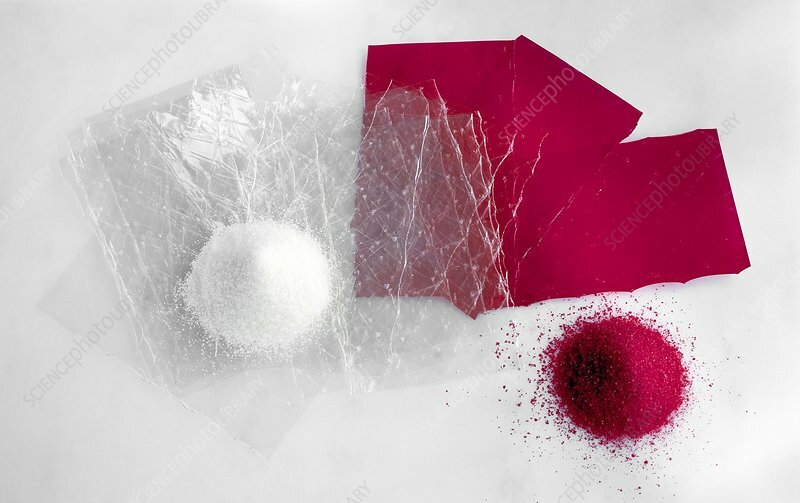 Colours (right) can be added with dyes or food colourings. Gelatin is formed from the connective tissue collagen, found in animal skins. It is used in various industries, including the food, drugs and cosmetics industries.